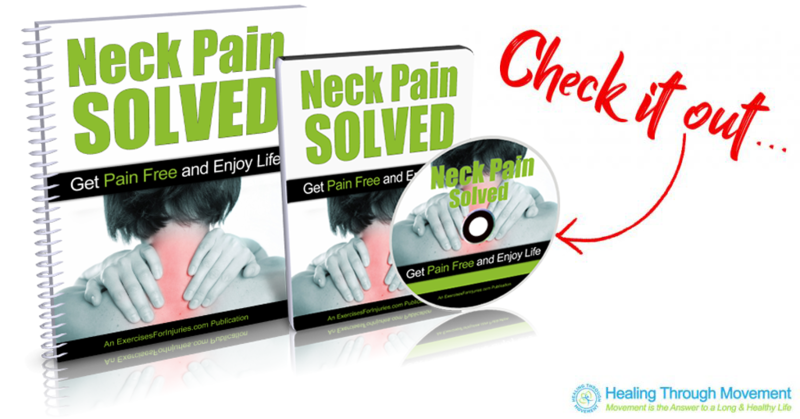 For this exercise, you can use a tennis ball, racquetball or any small ball that you can massage your neck with. Begin in either standing or upright sitting position. Press the ball against the upper thorax neck area all the way to just above the shoulder blade area. Massage the ball throughout the back and side of the neck. Repeat the movement. Start off with 1 set of 5-10 repetitions. Perform the exercise in a smooth controlled movement. The intensity of this exercise is moderate. 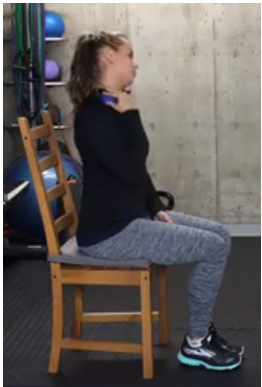 The purpose of this exercise is to decrease the tension of the muscle in the neck area. Poor posture leads to tension and stress in the neck muscle. If the tension builds up for a long period of time, it can pull out the joints and lead to irritation, pain, and may even lead to a full-blown injury. Sit upright with your feet flat on the floor, maintaining good alignment with your head, shoulders, and hips. Good upright sitting posture balances out the body and puts less amount of stress on your muscles and joints. Try to get up more frequently when you are working. Get up and move around every 30-45 minutes. Little breaks like getting a cup of coffee or going to the washroom to help in getting you out of the position of sitting for a long period of time. Begin in either standing or upright sitting position maintaining good alignment with your head, shoulders, and hips. Drop your head to one side and holding the position for a couple of seconds. Return to the starting position and repeat the movement on the opposite side. Begin in an upright sitting position maintaining good alignment with your head, shoulders, and hips. Place your arms across your chest. Rotate your upper body to one side. Return to the starting position and repeat the movement on the opposite side. Start off with 1 set of 5 repetitions on each side. Perform the exercise in a smooth controlled movement with a good stop at the end position. The intensity of this exercise is light. The purpose of this exercise is to loosen and work on mobility and movement in the midback area.